Installing this stock on the Vector SDP will reclassify your pistol as an SBR. It is your responsibility to maintain a compliant firearm. 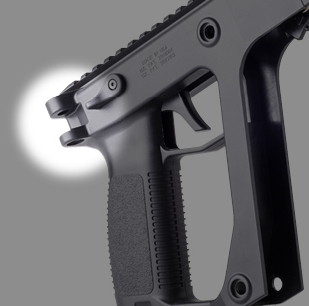 This product is only compatible with the KRISS Vector Gen 1 and Gen 2. Your upper housing must look like the example to the right. This stock will not work with the Vector Gen 2-2017 which does not feature the original hinge mount. Please verify before ordering!